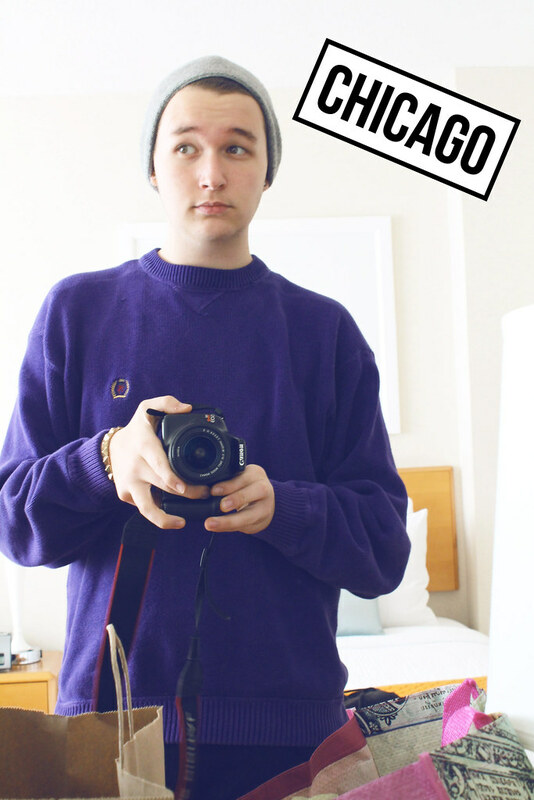 Chicago definitely left me with a plenty of clothes to add to my Spring/Summer wardrobe combined. I envy the people who reside in Chicago that are only streets, if not, only a few miles away from stores we don’t have back in this region. Either way, while I do love picking up a new top from H&M, or a jacket from Forever 21, I think you can do a lot by balancing thrift store clothes as well, which is why I bring you this outfit. I was pretty fortunate that the weather was not resistant to the outfit I was wearing. Out of the 2 days we were actually downtown, this day was a 50s day which was still pleasant walking around town with just the sweater. Even later in the day once the temperature began to slowly fall and we walked to Millennium Park, I was still pretty comfortable in this outfit. I can definitely say, while I love a good big sweater, I am excited for the upcoming months as the temp is rising and I can actually wear lighter clothing. With that, have a good one readers! Wow, what a great week it has been for me! 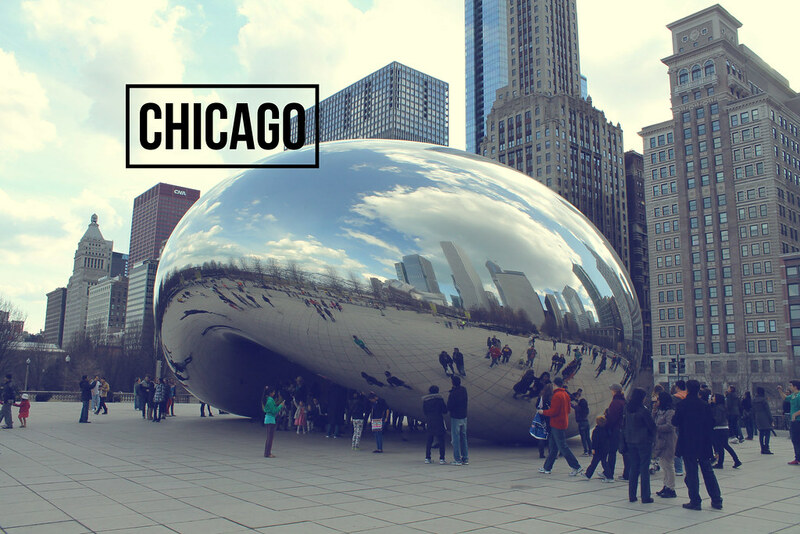 This past week I spent a couple of days in Chi-Town with the family and I, and I had a blast shopping for Summer, and spending some time in this wonderful city. 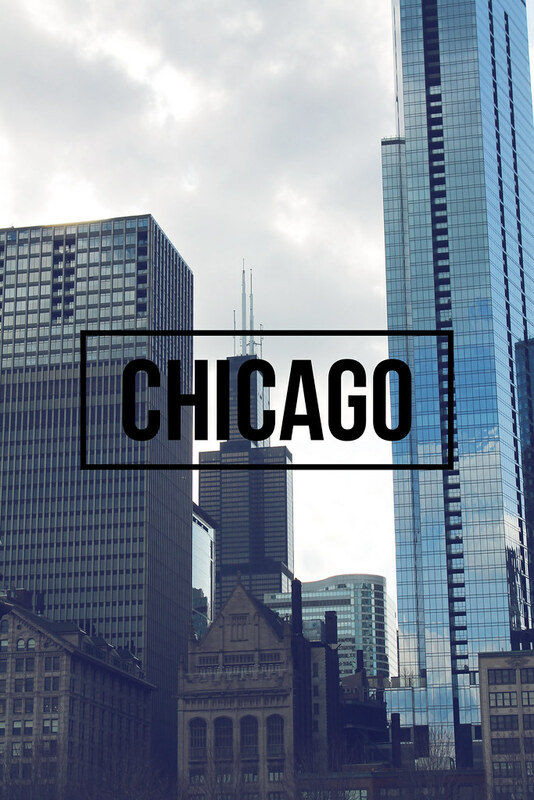 I am currently on Spring Break, and since we weren’t planning on anything too special considering we have a wedding to fund in the upcoming months, we still decided to splurge on the windy city and we definitely don’t regret it. 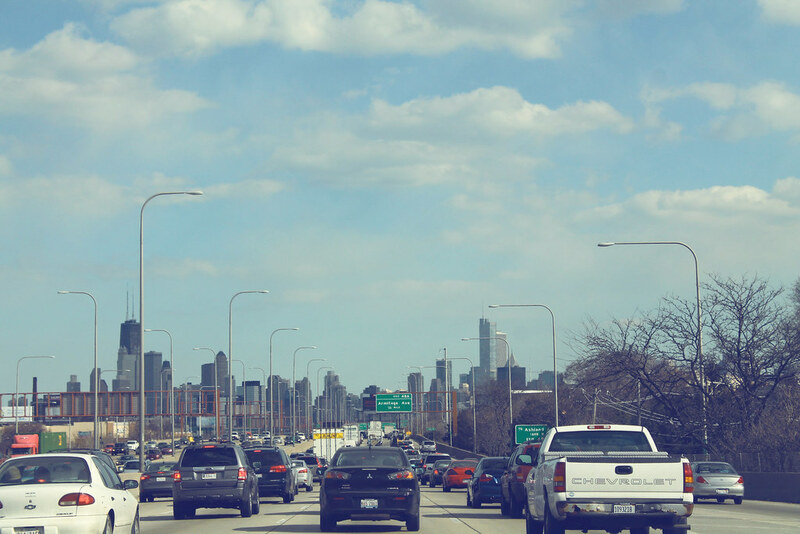 From just cruising down the highway towards the city and the sight of the skyline just made me more eager to step out of Suburbia life and jump right into city life. 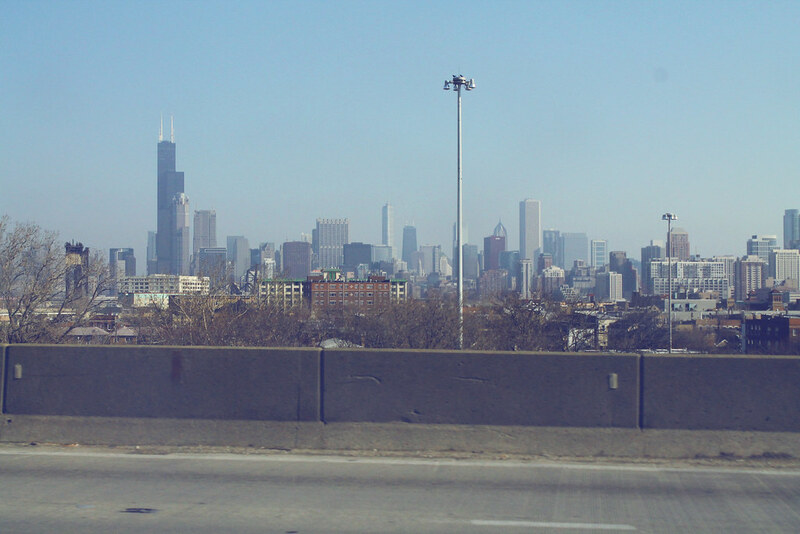 We got a nice view of the streets as we made our way downtown, and I haven’t been in Chicago since the few years past but I became familiar again quite quickly. Our first stop was at Whole Foods, an organic food store, I know many West-Michiganders are envious of it’s existence elsewhere. Previously to this visit, I had never been to one and boy I was missing out. 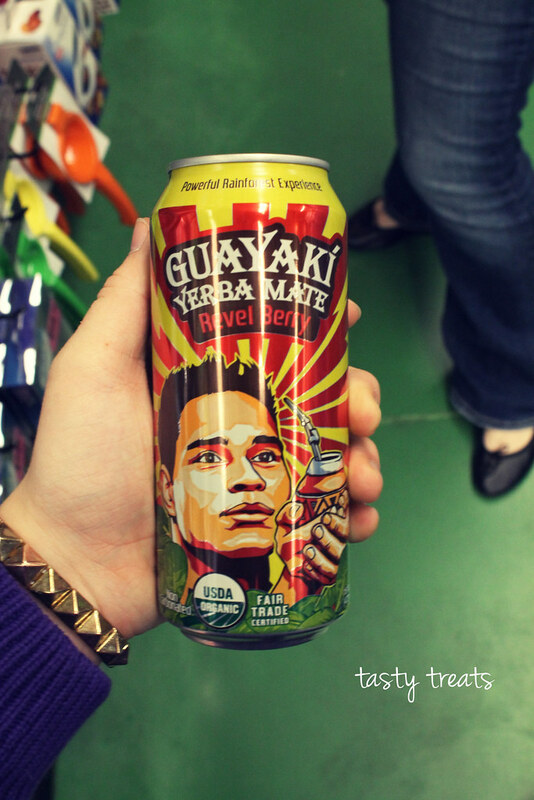 Amused by all of the food you could by, my mission was to find Guayaki Yerba Mate, a drink I have known about and have always been curious to taste. Overall this store was just pleasant. 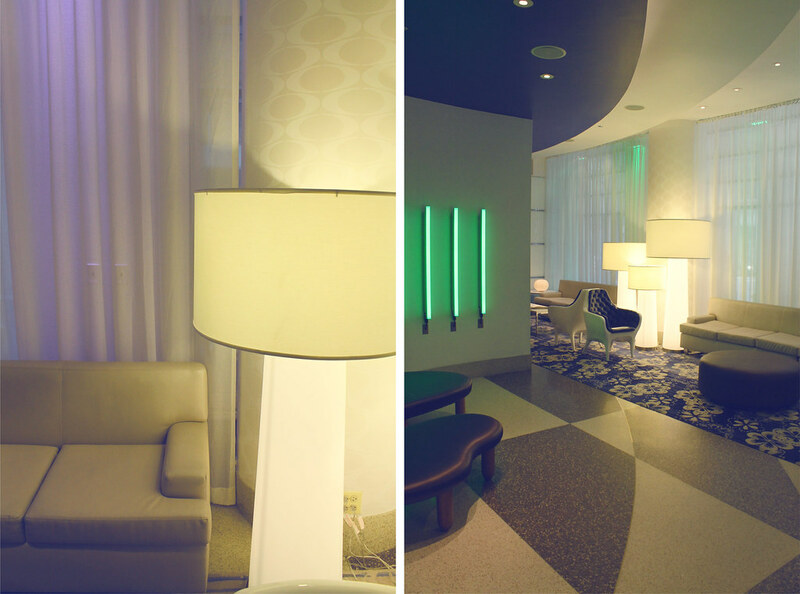 After a little bit of shopping for treats, we checked in at the Fairfield Inn & Sweets, which I instantly loved when walking into a contemporary decorated lobby, which followed to the rooms. While our beds were a little small, it was definitely worth it considering how close we were to the Magnificent Mile. After settling in, we made our way up Michigan Ave, window shopping and making reminders to go back and shop at the specific stores we saw. We were not in the mood to stop due to our hunger, which after the 3 hour drive was needed. 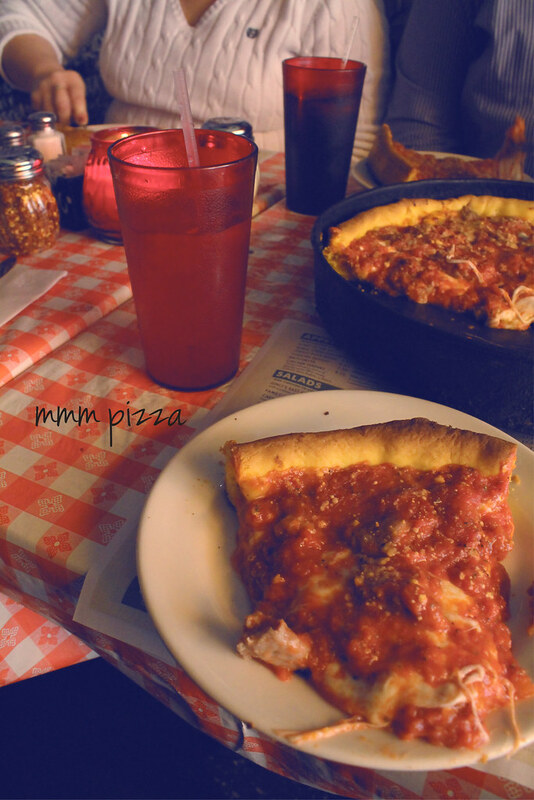 We stopped at Ginos East for a slice of true Chicago Style pizza. While the food was amazing, the fact you could write on practically anything, made this restaurant even more fun! 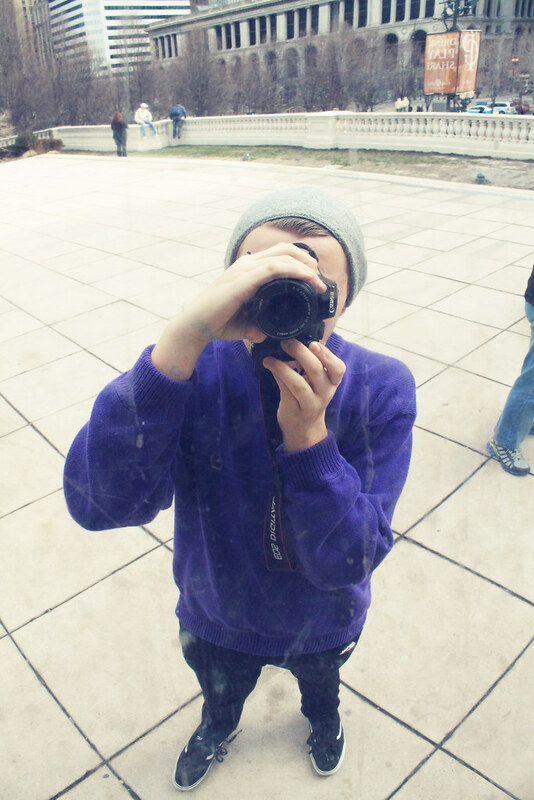 One of my favorite stops on our short trip to the city was at Millennium Park, where we got to experience the “Cloud Gate” or many just know it as “The Bean.” This giant curved mirror basically is going to automatically propel you to take multiple pictures of yourself from every angle of the bean. 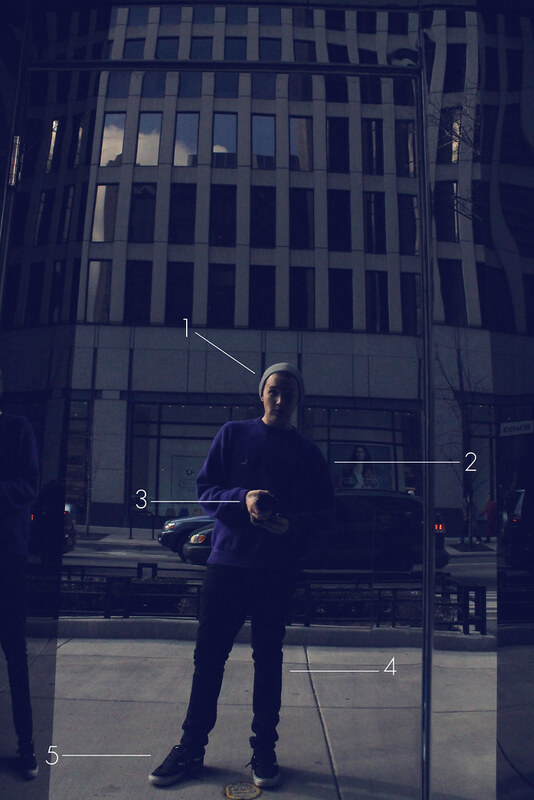 I literally spent probably five minutes just staring at the curved skyline reflected off the bean. Definitely recommend you stop by even just to snap one shot on your way down there. 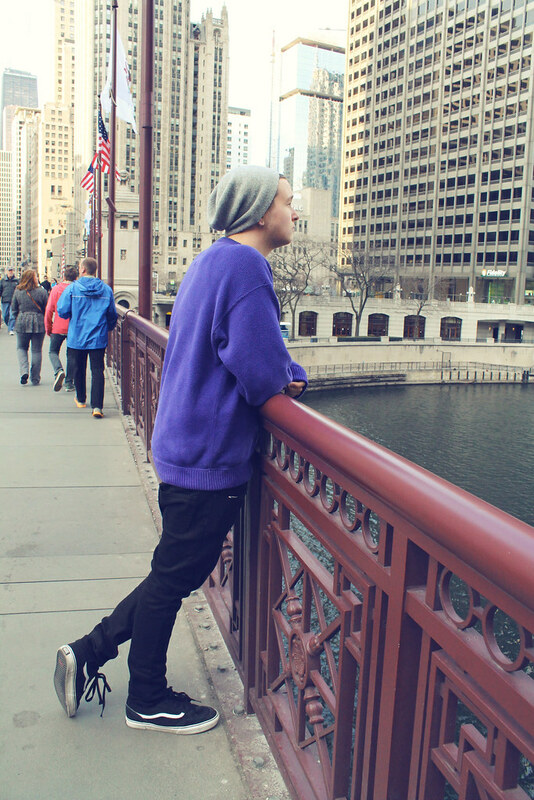 I also wrote a small Love Letter To The City on my Tumblr, a few hours after I left Chicago, check it out!